RasGas has agreed to change the current pricing formula to a 3-month average of Brent crude, that will lower cost of LNG to $7-8 per mn btu as compared to $12-13 btu currently. In a significant development, Qatar has agreed to waive $1 billion penalty on India for breaking a long-term LNG contract, and has also consented to change the pricing formula to reflect the slump in global energy rates. After months of intense negotiations, RasGas of Qatar has agreed to not to press for the $1 billion in penalty that Petronet LNG Ltd, India's biggest import of liquefied natural gas (LNG), has to pay for buying only 68 per cent of the contracted 7.5 million tons this year. Also, RasGas has in-principle agreed to changing the current pricing formula based on a 60-month average of a basket of Japanese crude oil prices to a 3-month average of Brent crude, a move that will lower cost of LNG to $7-8 per million British thermal unit as compared to $12-13 currently. "There is good news for India," a top source said. "Price renegotiations are almost complete." Petronet is taking only 68 per cent of the volumes it agreed to in 25-year contracts with RasGas after a slump in global energy prices led to gas being available in spot or current market a roughly half that rate. As per the new deal being negotiated, Petronet will take the quantities it did not take this year during the remainder of the contract period. Sources said Petronet has a take or pay contract with RasGas where if purchases less than 90 per cent of contracted volumes, a penalty triggers where in it has to pay for all of the contracted volumes. 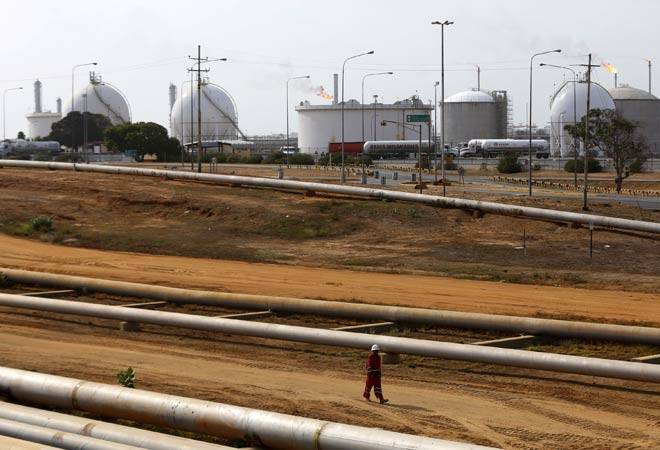 State-owned GAIL India Ltd, Indian Oil Corp (IOC) and Bharat Petroleum Corp Ltd (BPCL) have committed to buy all of the 7.5 million tonne a year of LNG that Petronet is to import from Qatar. But with slump in global prices, they have opted to buy gas from spot market rather than use the long-term LNG. The price of delivered spot LNG delivered has tumbled more than 50 per cent in the past year to about $6.80 per million Btus. The price of benchmark natural gas futures in the US tumbled 38 per cent in the past year, falling to lowest in more than three years. The reduced offtake by the buyers forced Petronet to cut its purchase from RasGas. This resulted in idling of three cryogenic ships it had chartered hired for ferrying gas in its liquid form at sub-zero temperatures from Qatar to its import terminal at Dahej in Gujarat. And as per charter hire conditions, Petronet continues to pay the day rates. The demurrage charges come to about Rs 400 crore per quarter, source said. While LNG in the spot market is available at $7-8 per million British thermal unit, the price of gas under the long-term contract with RasGas is close to $13 per mmBtu. Pricing of LNG under the long-term deal is linked to the previous 12-month Japan Crude Cocktail (JCC), including caps and floors based on average JCC prices of the past 60 months.